Notes: The cemetery is located at the corner of Anderson Ferry Road & Sidney Road and is always open. However based on the current demographics of the neighborhood it's advised to only go during daylight hours. Directions to Kever: Knesseth Israel Cemetery in Cincinnati maintains computerized records and will provide a detailed location map upon request. Location: From the main gate, in the middle section, to the left. Its interesting that they spelled on the Matzieve his name ?????? (I saw that his letterhead was also spelled that way) while he is now remembered and written ??????? or ????? My previous comment lost the Hebrew words, I was reffering to the diffrence of pernounciation between Zilber and Silver. 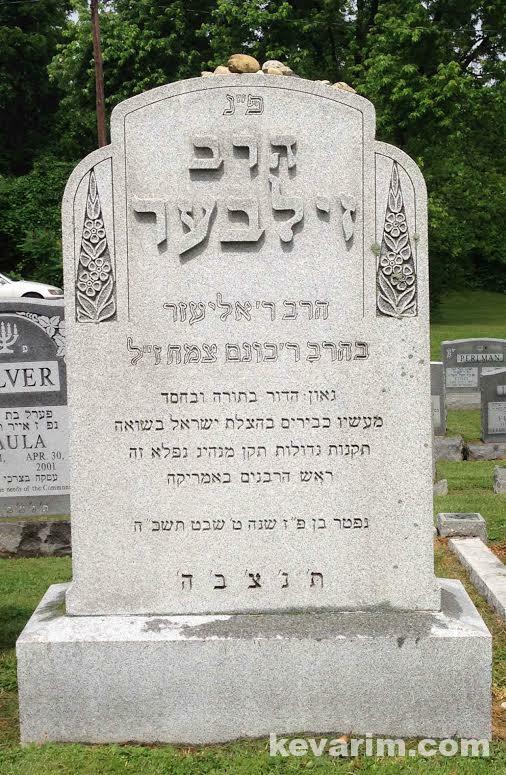 Rabbi Silver, was first Rav in Harrisburg PA, where his son Rabbi David Leib Silver took over, any idea where his son is buried? 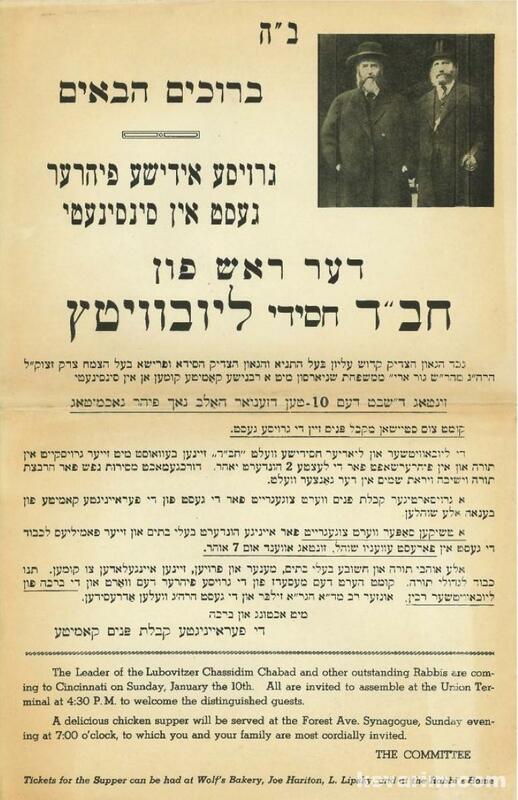 Rav Silver had a famous SIL Rabbi Yehudah Gershoni who later lived in Isreal and printed the Shutah Mkubetzet Hachodosh he was known as an “Ilu” and I think he served in the Merchaz Harav yeshivah from the Mizrachi, can anyone confirm? 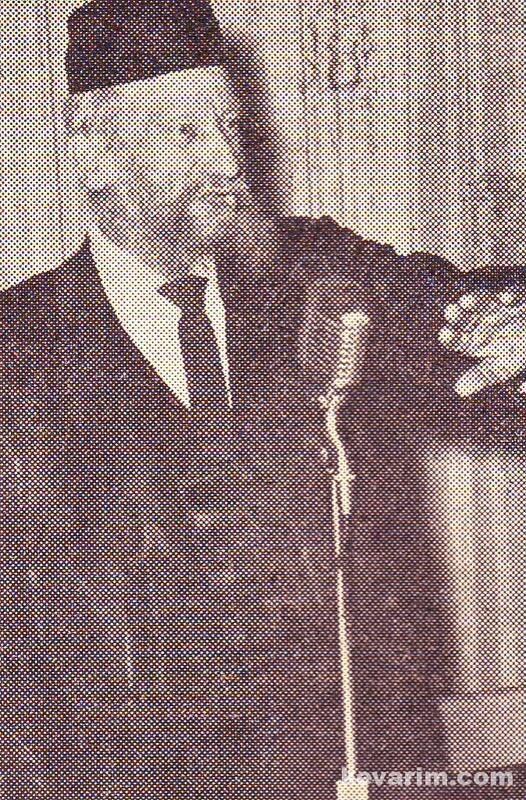 Miller, Rav Silver himself published the Shita MeKubetzes on Yoma. I have seen it / used it. 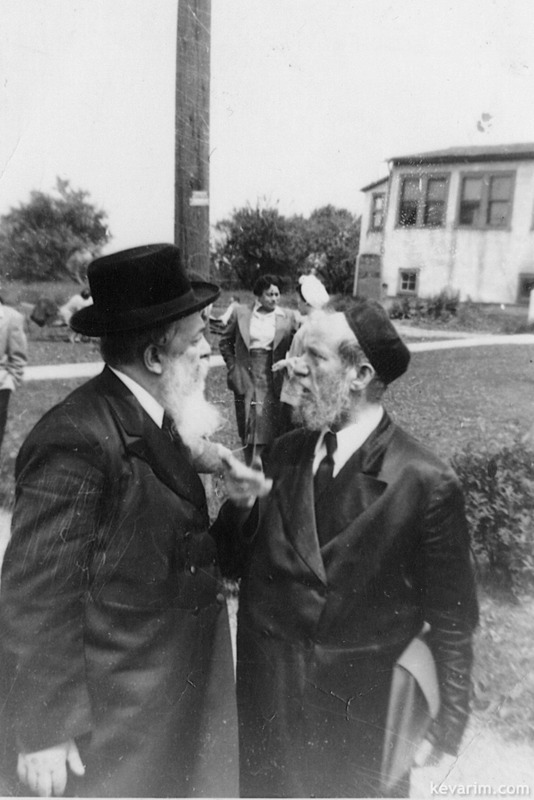 In fact there is a story that when Rav Yosef Dov Soloveitchik came to the states he gave a shuir to a large crowd of Rabbonim, one of them being his future friend Rav Silver, Rav Soloveitchiks father told him that he shouldn’t be intimidated by all the Rabbis with tall hats and long beards since they havent opened a sefer since they got off the boat. The only person you should be afraid of is Rav E. Silver. And after the shuir was over Rv Silver was indeed the only one to come over to the him with kashas on his shuir. 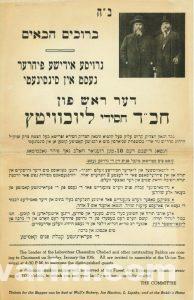 The shuir was on maseches Yoma. Rav Silver (son) moved to Kew Gardens Hills to live with his daughter. For many years he davened at Congregation Bais Yosef Dulem (Rabbi Freidman’s shule) as an unassuming congregant. I believe he is buried in EY, I will look into it. I asked rabbi Males who is now the Rabbi in Harrisburg PA in the Kesher Israel Congregation. His reply was that he was originally buried in Harrisburg and later on transferred to Isreal where he has a son living who is a Rosh Yeshivah in Kerem B’Yavne. This morning I met Rav Aaron Benyamin Silver in shule, he told me that his father requested that he be moved after a year. 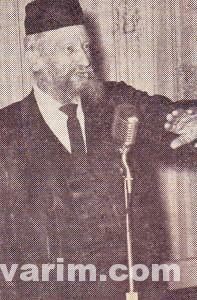 Rabbi David L. Silver z”l and his wife were in fact first burried in Harrisburg, PA. They were later moved to Israel. Their original tombstones still stand in our shul’s cemetery here in Harrisburg, PA.
Would you like me to send in a picture? 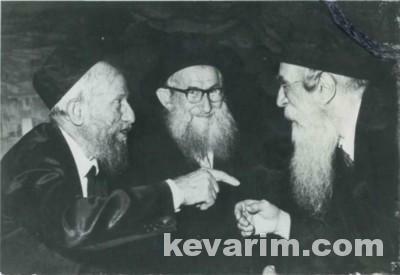 Kopyczyncer Rebbe, Rebbe Avroham Yehoshua Heshel and Rav Eliezer Silver in conversation. Wow how I would have loved to be a fly on the wall during that conversation it looks intense. Sorry, It’s not the Kopyczyncer Rebbe – it’s the Brownsviller Rebbe. I got a copy from his grandson. If I’m correct, the conversation took place in Kherhonksen, NY – not sure though. I also doubted about it. It does not look as the Kapitchnitzer. But I do believe in Yitz! Cossid… last year i was emailed this picture – now, am not sure if Baruch emailed this to me since I mentioned to him that the Brownsviller pic he sent before resembled the Kapishnitzer – or got this from a grandkid. Am waiting feedback from a grand kid – most probably i lived in a mistake. 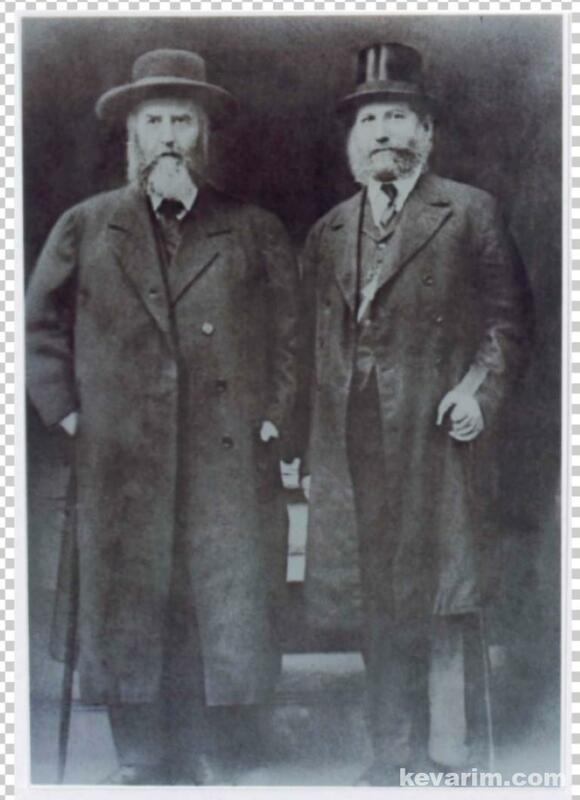 Baruch – please post a very large photo so all can see the Kopichenitzer rebbe’s payos – which are specific to Ruzhin. Its no question that its the Kopichenitzer rebbe. 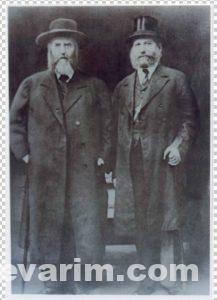 I have a few pictures of the Brownsviller Rebbe which I will try and get up soon for all to compare. As for this picture, I would love to know what exactly they were discussing!!!!! Baruch, what’s the question, they were discussing Sisrey Torah!! Maaseh merkavah!! Or maybe since Rav Silver was a Litvak, a shverer Rashba. I spoke to someone to whom this picture is familiar, he knew when and where this was (I forgot exactly) and knew to say that they were discussing about the Vaad Hatzoloh. יש אצל אדמו”ר מקופיטשניץ שליט”א בעקיטשע ישן והגיזרה תפור בדומה לפראק, זה יותר מה שנקרא היום ריפס, כאשר הוא ממשי אמית הוא דומה לבעקיטשע. 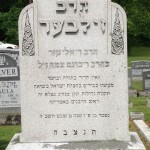 Today is Rav Silver ZT”L’s Yortzeit. to be included in the upcoming publication of a book on the 100 year history of Rabbi Silver’s shul in Cincinnati, Ohio, and Rabbi Silver’s klal work including saving Jews during the Holocaust, the Vaad Hatzalah, Agudas Harrabonim and Agudas Yisroel. They are also looking for people who have recollections of Rabbi Silver or on the frum Jewish history of Cincinnati to interview for this project. You can still כאפ אריין some דברי תורה before חצות today (at least in the Western Hemisphere). Is Rav Berl Wein, noted historian, a SIL of Rav Silver? Rabbi Wein would be too young. 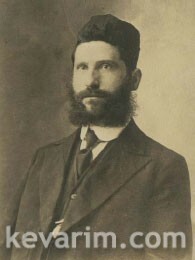 Rabbi Silver had two sons and two daughters. One daughter was married to Rabbi Yehuda Gershuni and the other daughter was married to Dr. Louis Izenstein. Thanx Moshe. In a recent article, I believe in the Mishpacha (perhaps 2-3 weeks ago), it mentioned that he was a SIL of Rav Silver z”l, guess they erred. If you want to read more about Rav Silver the best book to read is The Silver Era by Rabbi Aaron Rakeffett. Google it you can purchase it via the OU website. The article I saw was in Hamodia and had a number of errors. Rabbi Wein is a SIL of Reb Leizer Levine of Detroit (father of R’ Avrohom Chaim RY of Telz Chicago). 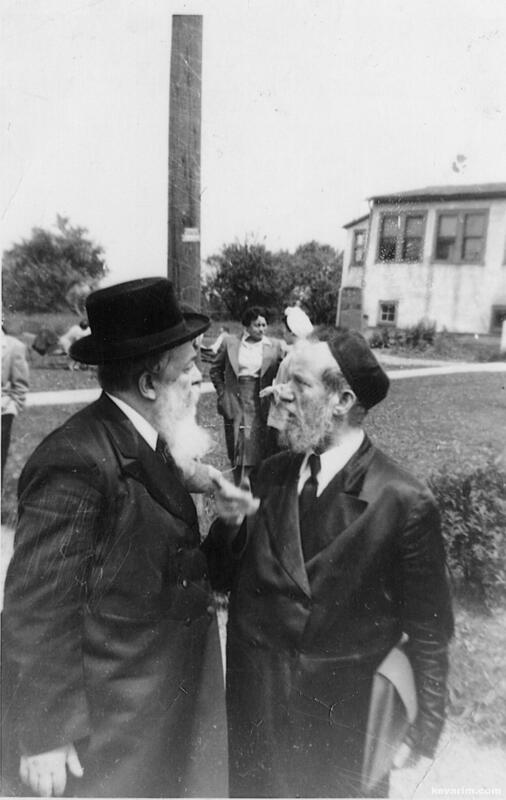 The (image caption/description) on first link says “Rabbi Silver with Yeshiva Boys likely in Camp Agudah 1957” – it’s not Camp Agudah, it’s the Nitra yeshiva building in Mount Kisco, the person talking to Rav Silver is the Reb Michoel Ber Weissmandl. 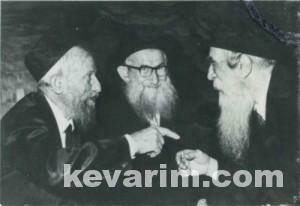 In Picture 1 of 2: the bochur behind and to the immediate right of Rav Silver is R’ YM Friedman (who lived there). The person on the far right (black jacket, no hat)… resembels a bit Reb Yitzchok Z’ev Meyer (Author of Maharsho Ha’aruch), has to be varified. Thank you Moshe Escott for publicizing our website, which is part of the project mentioned in Comment #26. Thank you asher lowy for giving accurate captions which will be used when updating the website. Please contact via email at: machonravsilver@gmail.com or by using the comment box on the CJF website. 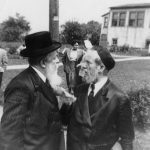 If anyone can is able to review the Rabbi Silver pictures on the website and provide captions or identify Rabbanim, I would appreciate it. Please use the identifier when discussing a particular picture (i.e. Identifer: CJF – MG2014020). We are uploading new letters and pictures each week.